Few weeks ago, we recieved this very interesting article from a senior engineer. Just for us, he made a list of 10 factors that should drive you to select medium voltage drives. Though medium voltage drives have been around for more than three decades now, high quality and reliable medium voltage drives have only been available since the past few years. Specifying and choosing high quality medium voltage drives can often be a tedious task, because there are many parameters that govern its quality and performance. Many companies claim that the drives manufactured by them are of high quality, even if they are not. Because, they believe that, not many people will go into the details. And that’s true! Only an experienced electrical engineer would know the difference between a high quality and ordinary voltage drive. This is the most important factor and it should be considered first. Harmonics are caused by variable frequency drives which can impose critical power quality problems. If this high frequency noise gets induced into the power grid it can lead to serious electrical equipment problems. The problem can get even more serious if these harmonics affect neighboring industry’s power supply, as you will be then made liable for any kind of damages incurred by those businesses as well. In high quality medium voltage drives, THID never goes beyond 5%, irrespective of the size of the load and speed. To achieve the above mentioned THID, I would suggest a converter that that has no less than 24-pulse count. Many companies try to sell 6, 12, 18 pulse converters or active filters, saying that they would reduce the harmonics considerably. No, not really. Never settle for anything less than a 24-pulse converter (the higher the pulse, the better it serves) to minimize harmonics. For the reasons same as above, you should always take care to see that the power factor is no less than 95%. In high quality medium voltage drives, at loads above 10% and at all speeds the “true” power factor is always 95% or higher. High power factor helps you avoid voltage drops and increases power quality, preventing any utility penalties. If you are still using the conventional medium voltage drives that are current source inverter driven, replace them immediately with voltage source inverters. Medium voltage drives with current source inverter induce harmonics and have low power factors. Using them will not only attract penalties, but also spoil the motor insulation frequently. High quality medium voltage drive manufacturers always make use of use voltage source converters. It is hard to determine the best input voltage for a medium drive, as it keeps varying depending on the function. But, for me, the best input voltage for a high quality medium voltage drive is 4160V, as it is the safest bet for a medium sized drive. This is a reliability factor. Every manufacturer has its own definition for MTBF. As a result, there is no set standard as far as the reliability of a medium voltage drive is concerned. In such cases, you can measure the reliability of a drive is by comparing its device ratings against drive ratings. For example, if one company uses 100A transistors on a drive of 60A and the other uses 60A transistors on a 60A drive, opt for the first company. Simply because 100A transistors have high durability compared to 60A’s. Also, some manufacturers like TMIEC have MTBF as high as 16 years. As far as my knowledge goes, this is the highest. So, you can use any of the above mentioned as a yardstick to measure the reliability of a medium voltage drive. Many manufacturers do not incorporate this device to their voltage drives. 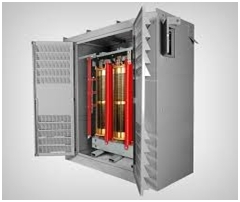 An isolation transformer is a very important device that is included in all high quality medium voltage drives. This helps avoid motor failures and malfunctioning of other electrical equipment. For how long the company has been in business? How many drives have they built since the company’s inception and how are they performing? Do they have any high quality references that they can boast of? Depending on your requirements, the manufacturer you choose should be able to design the exact kind of drive that suits your needs. For this, the company should be able to provide you with the personnel that are highly qualified and experienced. Hence, it can be said that the quality of a medium voltage drive also depends on the quality of the designing team assigned to it. This is crucial, especially, if you do not have qualified personnel who are capable of maintaining the drives. 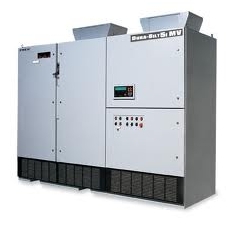 Manufacturers of high quality medium voltage drives provide free after sales support and maintenance for a few years. Depending on the after sales engineering support and the warranty, you can gauge the quality of the medium voltage drives of the manufacturer. Irrespective of the size, medium voltage drives are very important for any industry, as most of the moving devices and pump sets rely on efficiency of the drives. Hence, the above mentioned factors should all be thoroughly checked and only high quality medium voltage drives are to be purchased, if optimum production levels are to be achieved. What’s your opinion on that list? 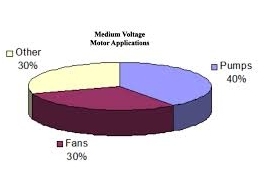 Are these the factors that you consider when selecting medium voltage drives? Do you have other factors to add to the list? It shares 1o useful tips for selecting medium voltage drives. Good post. Now we are using the AC80B medium voltage drives of Veichi.